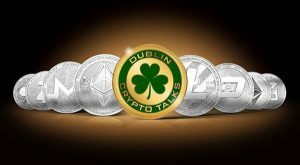 We are hosting the Dublin Crypto Talks meetup for a Blockchain & Cryptocurrency for Beginners workshop. The meetup’s mission is to accelerate the advent and adoption of Blockchain technologies. The workshop will cover How Bitcoin and Blockchain works, How to securely store cryptocurrencies and Setting up a wallet, send-receive coins, backup wallet. To sign up for the event visit their meetup page. This was written by tdr. Posted on Monday, March 26, 2018, at 11:45 am. Filed under Talk, Workshops/Events. Bookmark the permalink. Follow comments here with the RSS feed. Post a comment or leave a trackback.